The rent at 3600 S Bannock St ranges from $1,025 for a one bedroom to a $1,325 two bedroom. Apartments in this building are about 16% less expensive than the Englewood average. This is a pet-friendly apartment. 3600 S Bannock St is a 21 minute walk from the C Union Station to Littleton-Mineral Station and the D 18th & California Station to Littleton-Mineral Station at the Englewood Station stop. This apartment is in Englewood. Nearby parks include Miller Field, Cushing Park and Jason Park. 3600 S Bannock St has a Walk Score of 85 out of 100. This location is Very Walkable so most errands can be accomplished on foot. Sky Plaza Apartments is a Englewood Apartment located at 3600 S Bannock St. 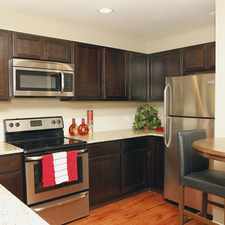 The property features 1 - 2 BR rental units available starting at $1025. Explore how far you can travel by car, bus, bike and foot from 3600 S Bannock St.
3600 S Bannock St has good transit which means many nearby public transportation options. Car sharing is available from RelayRides. 3600 S Bannock St is in the city of Englewood, CO. Englewood has an average Walk Score of 63 and has 30,255 residents.